The octopus is a cephalopod invertebrate, which means it has its legs on its head (cephalo means head, and pod, feet). It has 8 tentacles around the mouth and on each tentacle there are two rows of suckers that help it to catch its prey. 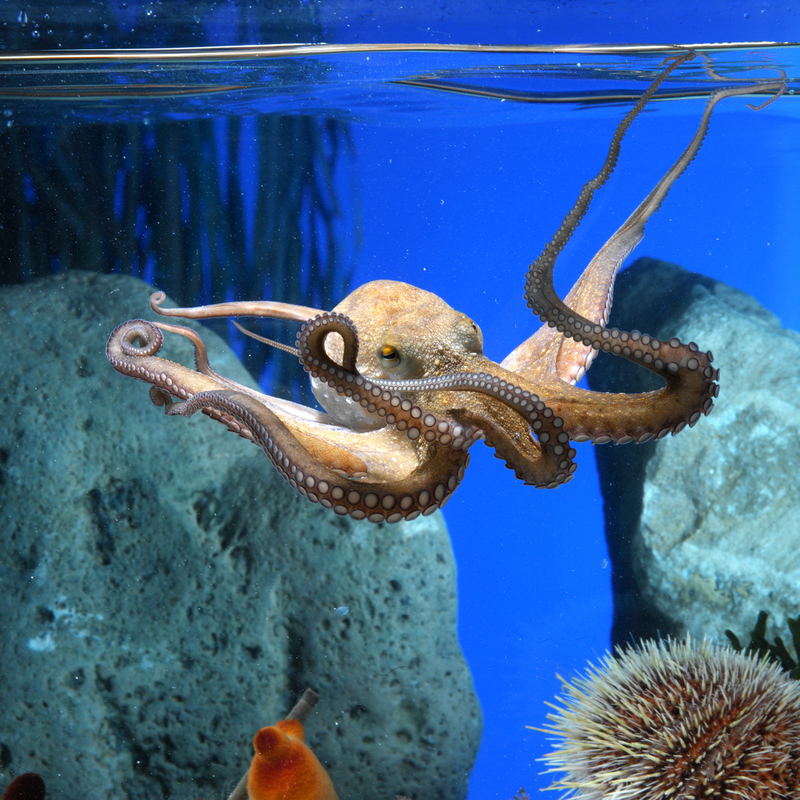 Octopuses are able to change colour and the surface of their bodies in line with their surroundings. An octopus’s body also helps us to recognise its mood, so when it is blue it is nervous, pale when it is frightened and reddish when it is angry. It can weigh up to 10 kg and its arms may be up to 1 m in length. They are animals that are active at night, and hide away during the day. Octopus’s are benthonic animals (bed), that move easily in the water, using their arms of drag themselves or move on rocky beds; however, when in danger they are able to swim by expelling water through their breathing cavity using a funnel that can be turned in different directions, called a siphon. To defend itself it can also give off ink, as can the majority of cephalopods. It feeds on crustaceans, other molluscs and fish and is therefore a carnivore. The octopus is oviparous. At times of reproduction octopuses copulate after making a pause to mate. 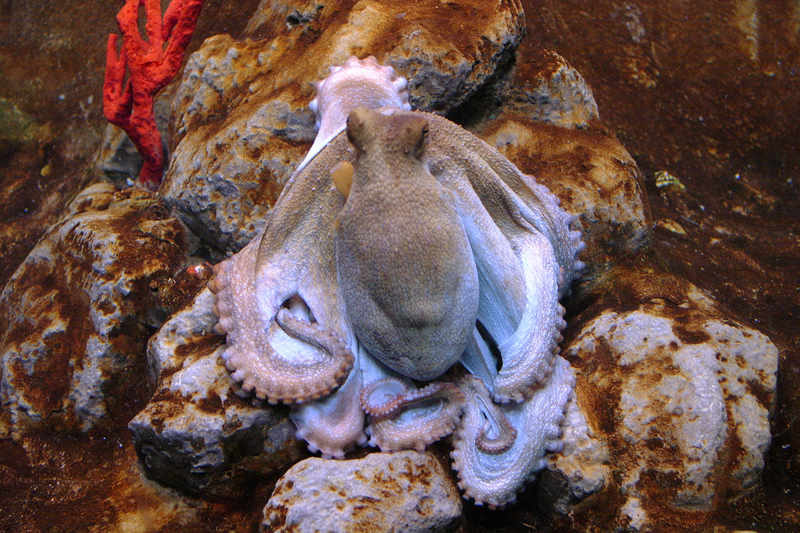 One of the male’s tentacles has reproductive functions and is released to remain inside the female. Laying takes place in spring and summer, and the female stops eating to look after the offspring and dies after a short time. The male goes back to the depths. In winter, the octopus lives on sandy and muddy beds at depths of 30 to 150 m, but when spring comes, it migrates to the coast where it settles in some crack or hole among the rocks. It is on the Mediterranean and Atlantic coast. They say that it is the animal that changes colour the fastest and that it also has a similar intelligence to that of a puppy as it has a real brain and its eyes are capable of distinguishing shapes and colours.